Kathryn Cook is to lead MidCentral DHB and will take up the CEO role in early May. Mr Sunderland said the Board received a number of high calibre applications for the role and it was Kathryn’s mix of skills and experience in both New Zealand and Australia across health planning and funding, service provision and policy which confirmed the Board’s opinion in her favour. Originally qualifying as a General and Obstetrics Nurse in New Zealand, Kathryn has gained an extensive background in health, both here and in Australia. She is currently a Partner within KPMG Australia’s Health, Ageing & Human Services practice, where she is lead partner of the Victorian practice. 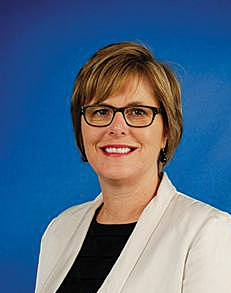 Prior to joining KPMG, Kathryn was CEO of Western Health, which delivers health services through four acute hospitals and provides a range of community services to a diverse and growing population that includes two of Australia’s fastest growing communities. Before joining Western Health, Kathryn was Director, Access and Metropolitan Performance within the Victorian Department of Human Sciences, where she managed a range of State-wide programmes with a particular focus on emergency, elective and outpatient service reform. In addition, she was responsible for the allocation of metropolitan health service budgets, negotiating key targets and deliverables and monitoring health service performance. Kathryn has also held a range of policy and leadership positions, including in the Western Australian Department of Health and the New Zealand Ministry of Health. Kathryn is a New Zealander and is looking forward to returning to her homeland.